Continuing a decade-long trend, Journal submissions have increased steadily, year by year, from 740 in 2007 to 1133 in 2018. Of the papers received by JADD last year, 419 were ultimately accepted—usually after one or more revisions. Once a paper has been accepted, the pace of publication is rapid. As such, it is increasingly important for authors to ensure that their manuscripts are submitted properly formatted and as accurate as possible. Every submission is first reviewed by Journal staff to ensure that it is formatted and referenced correctly. JADD’s editorial team emphasizes that it is critical to follow author guidelines and carefully proofread all content before submission. In about one-third of cases, authors are asked to make formatting corrections before peer review to ensure the speediest publication if an article is accepted. The editorial team also reminds authors that any changes to a paper’s authorship during the review process must be reported and approved. In response to the burgeoning paper flow, JADD continues to expand its editorial board and add new Associate Editors as members rotate off. The Journal would like to extend a warm welcome to our newest Associate Editors, Patricia Prelock, Ph.D.; Gerrit Van Schalkwyk, M.B., C.H.B. ; Craig Erickson, M.D. ; and Hanna Steven, M.D., Ph.D. And JADD bids a fond farewell to Joshua Diehl, Ph.D.; Iain McClure, M.B., M.B.S. ; and Jeremey Veenstra-Vanderweele M.D., all whom have been excellent Associate Editors. The Journal is deeply grateful for the continued dedication of the remaining Associate Editors: Alice Carter, Ph.D.; Christopher McDougle, Ph.D.; Carla Mazefsky, Ph.D., FRCPCH; James McPartland, Ph.D.; Nancy Minshew, M.D. ; Brian Reichow, Ph.D.; Giacomo Vivanti, Ph.D.; Susan White, Ph.D.; and Marc Woodbury-Smith, Ph.D., MRCPsych. Each has generously and diligently supported the Journal’s mission. The editorial team strives to provide rapid turnaround even as the number of submissions grows. Once a paper has cleared the initial internal review for adherence to Journal style, the average time from first submission to initial decision is 55 days. This relatively fast turnaround time reflects the diligence of everyone who contributes to the peer-review process. Occasionally, papers that focus on a complex or abstruse topic may require a lengthier review time; in these cases, the Journal appreciates authors’ patience in awaiting feedback. In a few cases, the Associate Editors and I reject a paper without review if it unlikely to survive the peer-review process. To ensure that articles are as concise and “readable” as possible, authors are encouraged to publish content that may reasonably be included in online appendices as “Extra Supplementary Material” (ESM). 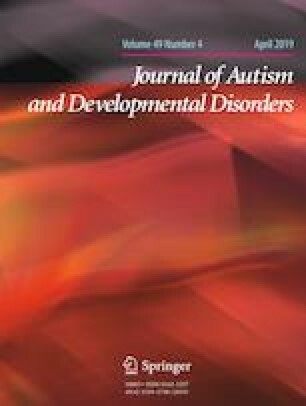 As noted in previous editorials, JADD typically does not accept review papers, which are typically referred to Springer’s companion journal, the Review Journal of Autism and Developmental Disorders; however, the Journal continues to be interested in meta-analyses. In addition, JADD accepts case report submissions only in the form of letters to the editor; case studies may be submitted as standard “original research” papers. The Journal continues to encourage, when possible, the grouping of papers on related topics in special issues/sections. During the past year, JADD published a theme issue focusing on College Experiences for Students with ASD as well as Parenting Children with ASD. Currently, the Journal is preparing special sections on early diagnosis, suicidality, and empathy. Consistent with Journal policy, all papers submitted to special sections/issues are subject to the standard double-blinded peer-review process as other papers. The geographic range of authors submitting to the Journal continues to expand. Last year, JADD received submissions from authors in 101 countries. This trend reflects growing interest in, and awareness of, autism in the world at large. The Journal is grateful to the production staff at Springer for helping the editorial team expedite papers through the publication process; once accepted, articles are typically published Online First within 2 weeks. Thanks also to Judy Jones and the rest of the Springer team involved in the Journal production, including Michelle Tam, Assistant Editor, Santhoshini Sivakumar, Editorial Manager System Administrator, and Prathap Panneerselvam, Production Editor. In the Journal office, Lori Klein, Editorial Manager, and Monica Mleczek, Editorial Assistant, work diligently to ensure that every submission conforms to JADD standards before it enters peer review, thereby streamlining the process for the Editor and Associate Editors. Listed in the following section are the names of the individuals who have contributed one or more reviews to the Journal this year. Although far from perfect, peer review remains the most effective way for the field to ensure the quality of the scholarly product. JADD thanks these individuals for their hard work and dedication.